Of course, Bell’s has other options, but pizza slices was all I wanted. I ordered two pepperoni slices. The lady working pulled them right out of the display case and put them on a paper plate. Now, usually, those slices would go back into the oven before being handed over, but these didn’t for some reason. I thought it was a little wierd but I didn’t say anything. The pizza was still pretty warm. The total was just a little over $3 and I got two pretty good size slices of pizza. 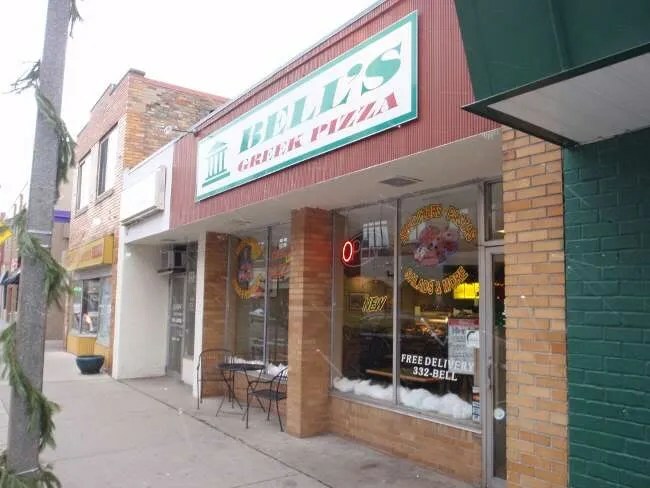 The last time we ate at Bell’s, it was pretty late at night and the pizza was obviously not fresh, so I didn’t have a very good opinion of the pizza. This experience was different. The pizza was actually really good. It was a really soft, flaky crust. It didn’t really have any bite to it at all which I really like when we’re talking about thick crust. 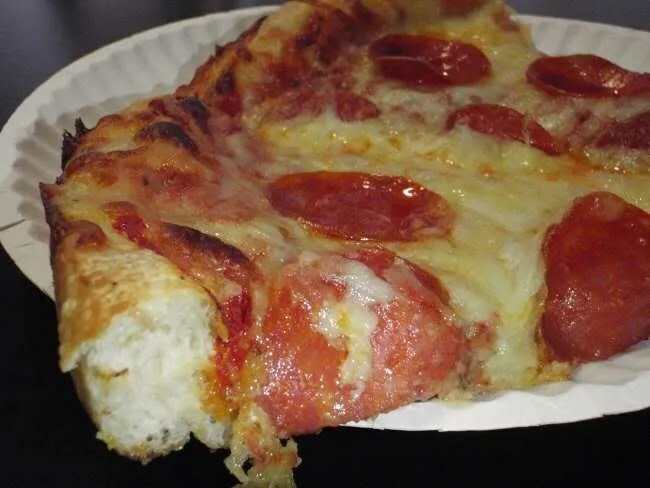 As I was eating the pizza, I kept thinking that there was something that really made the pizza different from other places, but I couldn’t put my finger on it. I was really surprised. 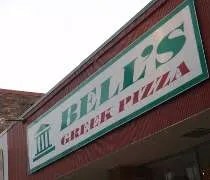 I wasn’t super hungry when I walked in to Bell’s and I didn’t have high expectations, but I was really happy when I left.